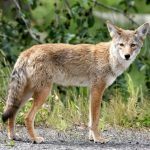 So, you want to trap coyotes? 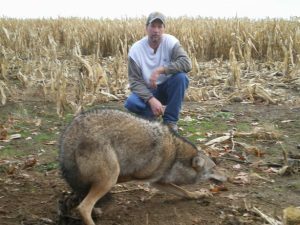 With the ever growing coyote population, predator calling has become a popular sport and useful tool in coyote control in some areas. But is it really totally effective on the whole for keeping coyote numbers in check? The answer is no. 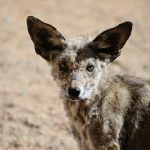 With the rise in predator callers out there, there is a rise in call shy coyotes due to novice callers making mistakes, which in itself is a given as with the guys that are good at it made the same mistakes while they learned the skill to calling. So whats another way of efficiently keeping coyotes in check? Trapping. Trapping coyotes can be a challenge for the novice just starting out. There are lots of things to consider or learn to trap a coyote. But the good news is,they are not as smart as some give them credit for, they are just another animal that lacks the thought process we have. They’re programmed for killing, eating and breeding, that’s it, and that’s what drives their thought process. And that’s what a trapper cashes in on when it comes to these critters. here’s a lot of literature, media etc. that’s aimed at trapping coyotes. Some of the better books out there are Craig O’Gormans “Hoof beats of a Wolfer” or Clint Locklears “Eastern Wolfer” both excellent books on coyote trapping. You tube has some good videos as well, like yours truly “me” have some educational vids here. One of the first steps is taking a trapper ed course. Most states have them now,just like hunter ed. Trapper ed is mandatory in some states before being allowed to trap. The main reason behind trapper ed,is just like hunter ed. 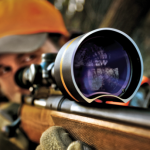 To teach you the basic of trapping, the ethics, the laws and safety. It’s a good program. A lot of states have trapping associations that hold rondy’s that hold trapping demo’s with well seasoned trappers, and at the National level you have the Fur Takers of America http://www.furtakersofamerica.com/ and the National Trappers Association http://www.nationaltrappers.com/ both of which are excellent and fight for your rights to trap. And they also hold a yearly convention that brings in thousands of trappers from across the country. 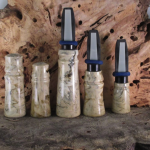 They have everything imaginable related to trapping plus demos all day throughout the whole convention with top trappers from across the country giving you there info and methods. It’s quite the learning experience. So basically to get started trapping coyotes you need to educate yourself, do your homework so to speak. In future articles I will take you threw various stages to get started, how to get set up equipment wise, scouting, location, setting up a trapline etc. to get you on the right track to trapping ole wiley. He’s really not that hard to trap, you just need to be observant and a student of the coyote, let him show you what trips his trigger to put his paw on the pan. Trapping for the most part is a very efficient way of controlling coyote numbers, it is probably the most efficient tool in taking coyotes period. Trapping has been villianized by animal rights groups for years, the 1970’s had quite an upswing in TV ads showing graphic pictures of animals distressed in traps, pets caught etc. What most people don’t know is a lot of it was staged, yes staged. They sacrificed animals to save the rest, their end justified their means so to speak. The bottom line with these groups isn’t saving animals, it’s lining the pockets with big salaries. In my opinion, the animal rights groups exploit animals for monetary gain. Trappers and Hunters are valuable management tools utilizing renewable resources putting their money where their mouth is compared to the AR groups that put very little if anything to their so called cause except their own pockets which drives their incentive, not poor animals as they put it. In the upcoming articles I’ll take you through the different steps in pursuing the coyote by trapping and hopefully put you on to your first trapped coyote and a passion you never thought you had. You’ve shot your coyote, you skinned and dried it and tanned it yourself, and you’re interested in finding out how and where to sell the animal fur. What do you do? You want money for the coyote hide, but who wants it is the question. People can use the fur for all kinds of things like blankets, decoration and clothing. And if you’re wondering, you can also use the fur from the tail of the coyote hide. Hides can come in all kinds of shapes and sizes depending on the size and quality of the fur after skinning the animal. When finding a buyer for hides, there are several different places to look. You can of course search the Internet for where to sell hide. That’s fine if you’re looking for mainly a wide spectrum of choices. But often if you’re in a smaller community or area, it may be tough to locate ready fur buyers; and of course you’re not looking to make a long drive or trip, which will cost gas, and maybe an overnight stay, especially when you don’t know how much your fur will go for. And of course prices vary by market, and the old rule of “supply and demand. Having said that, just know that a quality coyote pelt, properly prepared will always be sell-able. 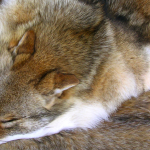 Tanned coyote fur is often a delicacy in countries around the world. It can be used for decoration, providing warmth, fashion – such as Canada Goose jackets – and with select quality coyote skins can be used to create all different shapes and sizes of hides. 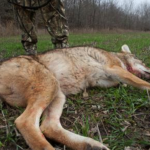 After a heavy winter of hunting, fleshing a good coyote can be what makes you money. Fur buyers post ads in local newspapers for hides from all kinds of animals. Outdoor outfitters will often have fur buyer contacts posted in the stores on their bulletin boards. It’s win/win for both the fur buyers and the stores – -as these ads will bring in potential customers. I’ve also seen that fur buyers will advertise locally, and will show up in an outdoor outfitter’s parking lot on set dates with their trucks and buy furs and pelts on the spot. I also would point out that often, while it’s cash and carry, the prices offered are not the best, and if you have a larger load of good quality pelts, you may end up with less than you expected. My best suggestion is to access an organization called The National Trappers Association (NTA). Go to the Internet, and find their site. Founded in 1959, this association is the bedrock of trapping from opportunities to conservation, and everything in between. Good people. 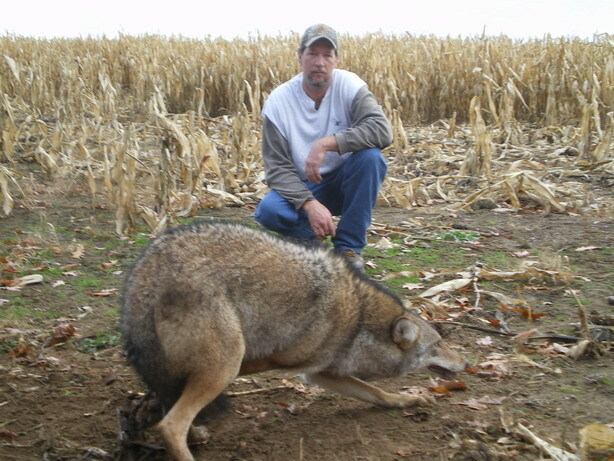 Interestingly, the 2010 national convention was held in Marshfield, Wisconsin – – an area in central Wisconsin that harbors good fur bearing animal populations (including coyotes), and local trapping interest is high. The NTA has listings of animal fur buyers throughout the country in their monthly newsletter/journal, which I’ve been able to find available at some outfitter stores. Fur buyers advertise in NTA publications. I also might suggest that you may want to at least try to call a local NTA member, or indeed an NTA board member (as I said, they’re good people who I’ve found are always willing to provide some type of helping hand). One of these folks may be able to provide you the name or names of reputable fur buyers in your area. You just know these NTA people won’t lead you astray. 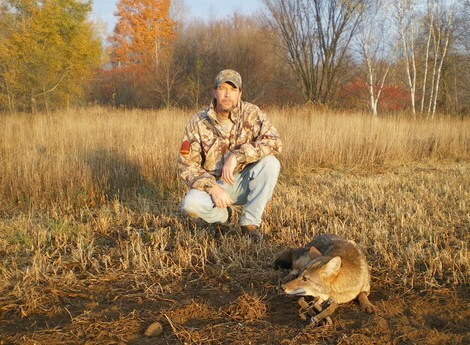 From my discussions with coyote and wildlife hunters and trappers, I’m told that fur buyers that show up in their trucks don’t come close to the money you’ll get from a buyer who is associated with the NTA – -either as a member or an advertiser. Now, that’s not to knock those fur buyers who come to a community with their trucks. I’m just talking “real world” right now, and relating what I’ve been told by coyote hunters and trappers who prepare and sell pelts. 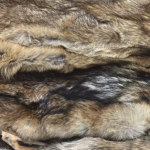 From what I’ve seen coyote pelts are graded on the basis of size, fur quality, coloration, and the market place- -like in “supply and demand.” With all the work you’ve put in to scouting, hunting, trapping, skinning, and preparing a pelt, you want to make sure you get top dollar for your animal. If you put a lot of work into your coyote pelts, it’s a good feeling that knowing that you hunted, skinned, and tanned it yourself. Just another reason why I am so proud to cherish hunting and hunters.